Serving the Farmington Hills area. 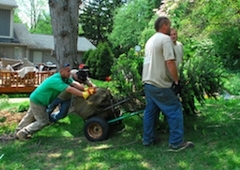 True Cut Tree Service has been serving the Farmington Hills area since 1999. Owner Frank is a certified tree climber who is passionate about helping people removed dead or unwanted trees. 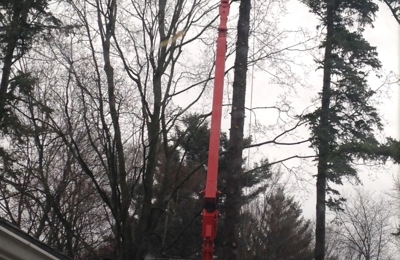 The company offers free estimates on all jobs, is fully insured and licensed to do business in Michigan and has full time certified arborists on staff. True Cut Tree Service offers a wide range of services from tree removals, trimming, pruning, dangerous tree removal, stump grinding, tree planting as well as storm damage cleanup and firewood sales. We are located in Farmington Hills, Michigan but service those in Farmington, Bloomfield, West Bloomfield, Commerce Township, Livonia, Franklin and many other locations. We service our customers at their location and not at our office. True Cut did an outstanding job removing our 80' Spruce and cleaning up the nearby trees. They were very respectful of our neighbor's property and cleaning up ours. Very impressive equipment! We would highly recommend them! Frank, Shawn and the crew did an outstanding job! Their price was reasonable, their equipment was impressive, they adhere to safety and their cleanup was excellent. I was very pleased with the outcome and would definitely use them again. I would highly recommend their services. again True Cut Tree Service, Shawn , Frank and the crew. August 10, 2016. I'm a business owner myself so I appreciate certain things. When a few large limbs fell in my back yard, and one overhanging the back deck, I called these gentleman for a quote. What I appreciated was a prompt callback, a fair price, and it was obvious that Frank and Alex enjoy what they do. When you enjoy what you do it shows, and it did with them. No problems, very thorough cleanup, and a handshake. That's how business is done. Thank you very much for a good job guys. Had a huge tree that needed to be removed. I called and the owner picked up the call and told me he would be over asap. He was at my home giving me an estimate in less than 2 hours. Got 3 different tree service company estimates and he was the cheapest. Work began the next day. I was impressed how professional he and his workers were and would recommend them to anyone that needs work done. I had a pine tree fall over that I needed removed, it was blocking the driveway and they got out to me very quickly. They were very professional and told me exactly what they were going to do and were very kind. The owner was doing the job himself and his workers seemed to know what they were doing too, didnt screw around. I was really impressed with how great of a job they did and how you could just tell they did it all the time. When the job was done they cleaned up just like they said they would and it looked like nothing even happened - they didnt even step on or trample the flowers I had right by the tree that I had asked them to try to save. Very respectful of my property it seemed...Thanks a lot guys! Since the price of tree removal and trimming services can vary widely, it can be difficult to find an affordable tree service. Learn the steps you can take to get a good price.